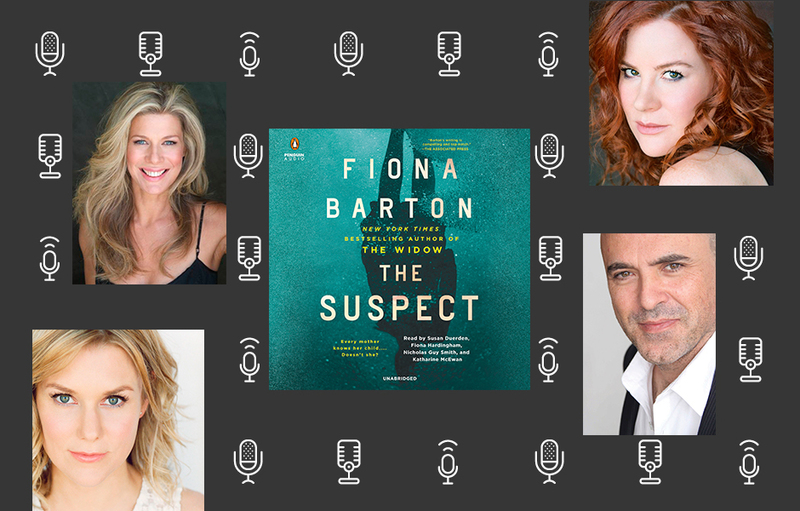 In New York Times-bestselling author Fiona Barton’s The Suspect, four narrators bring out four very different perspectives in a twisting psychological suspense about a parent’s worst nightmare. Meet the cast below, and listen to exclusive audio clips featuring each one of their characters! Fiona Hardingham is an award-winning actress and audiobook narrator whose credits include work in film, television, and theater. She is the recipient of several AudioFile magazine Earphones Awards and an American Library Association Odyssey Honor, and was listed in YALSA’s Top 10 Amazing Audiobooks for Young Adults in 2015. Nicholas Guy Smith is an award-winning audiobook narrator and a much sought-after voice actor for film trailers, commercials, and documentaries. He has voiced characters for Disney, Warner Bros., Universal, and the Cartoon Network. A postgraduate of Cambridge University, he resides in Los Angeles.